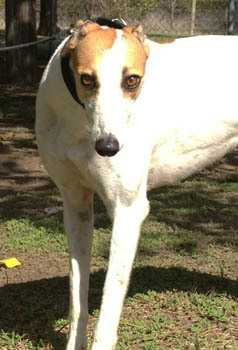 Princess is a 2-year-old white & red female born August 1, 2010. Her dam is Kiowa Witt Won and her sire is By Tar. 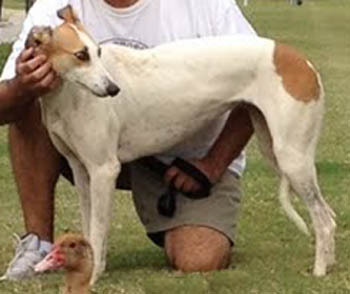 Princess was not individually registered with the National Greyhound Association, and has not raced. 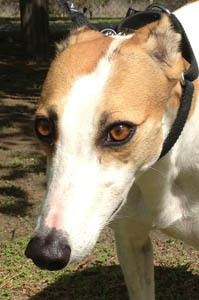 She is littermate to Duchess and Countess. Is this petite cutie the right royalty to add to your family? Princess has not been tested with cats or small animals.